Art Smith, the award-winning, personal chef to Oprah Winfrey, returns to the kitchen with Art Smith’s Healthy Comfort, a collection of 150 original, delicious recipes that will help you lose weight. Over 100 pounds overweight and facing a personal health crisis that included diagnoses for diabetes, high blood pressure, and high cholesterol, Smith started to exercise and made changes to his diet while continuing to prepare scrumptious meals. For the first time, he shares his weight-loss secrets and the recipes that helped him keep off the pounds. Filled with stunning full-color photos and easy-to-follow directions, Art Smith’s Healthy Comfort is a culinary pleasure that will put you on the path to a new, healthy lifestyle. 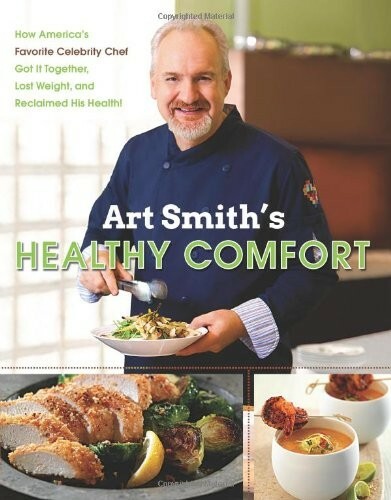 Art Smith's Healthy Comfort: How America's Favorite Celebrity Chef Got It Together, Lost Weight, and Reclaimed His Health! Kitchen Life: Real Food for Real Families - Even Yours!